You may have seen my recent Instagram post showing my love for Lime & Lilac's 100% Natural Light Face Oil and promising a full review of both that bottled beauty and the Capri Body Oil -- and while life got away from me for a hot minute, I am back and finally bringing my full review to The ecoLogical! 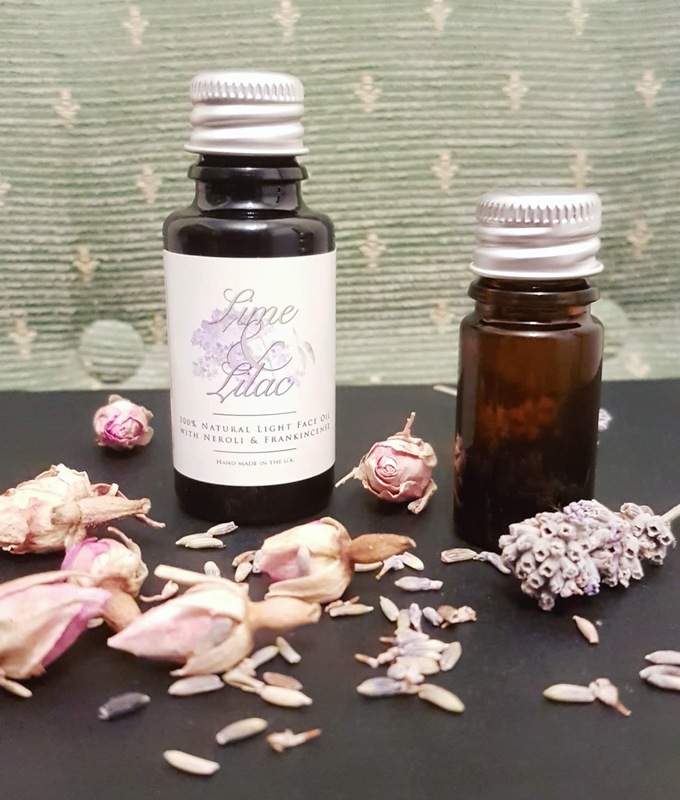 Who They Are: Lime & Lilac is an all natural and handmade skincare brand that was created by the lovely Lisa earlier this year. 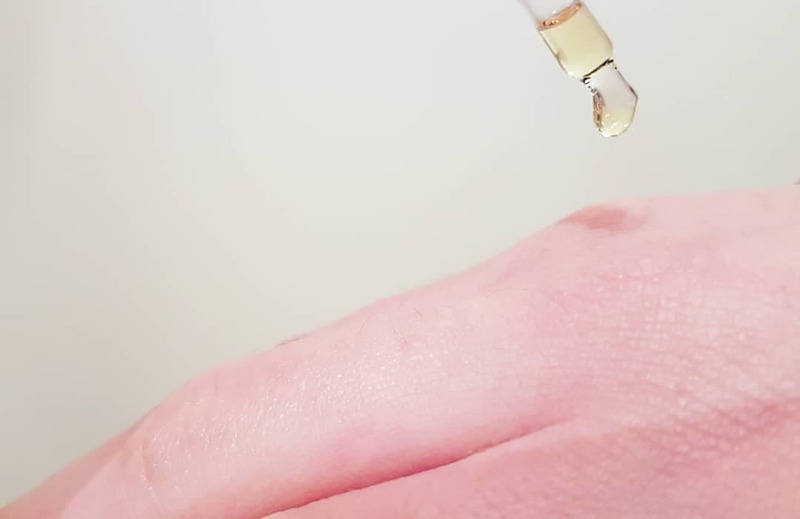 She took the plunge after completing her skincare courses, and launched her first product, a light facial oil, which was received with love by everyone who tried it! What They Offer: Lime & Lilac are incredibly unique in that they offer a "capsule" style skincare range. This means that there are only two products available to purchase from this eco-biz -- the 100% Natural Light Face Oil and the Capri 100% Natural Body Oil. Lisa actually commented on why she follows this model recently in one of the Lime & Lilac blog posts, saying "The idea of formulating and launching skincare quicker than a production line was never my aim; I can’t and wouldn’t want to compete with ‘The Big Boys’ in the cosmetic industry. My line only consists of two products but these have taken many, many, many (you get the idea) months and sleepless nights of trial and error to produce." And guess what -- this is part of why I love Lime & Lilac! Why I Love Them: As there are just the two products available, the utmost care is taken when creating each batch, and the quality that arrives in every single bottle is exceptional. I have never once heard a negative word spoken about Lime & Lilac, and I believe that this is due to focus -- a focus on developing perfection and on making formulas that are effective and totally blissful in texture and scent. 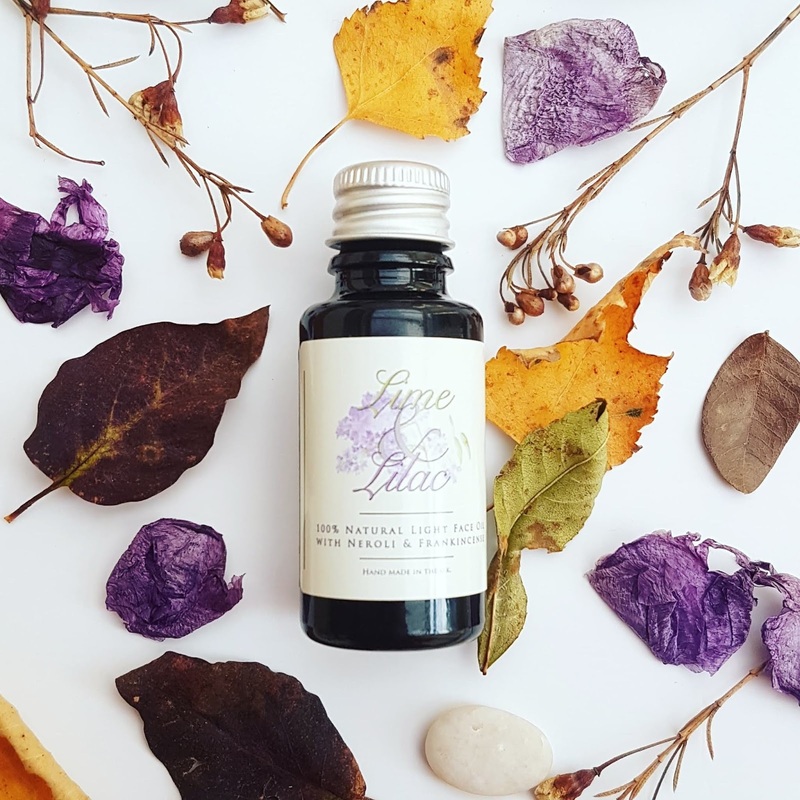 You would never guess that Lime & Lilac launched this year, as everything about this natural beauty brand is so well done. From their packaging (which is free from excess packaging and plastics, even the the box it is delivered in!) to their branding to their divine blends... Each aspect of the business is executed with skill, ethics, and beauty, and I am so impressed by what Lisa has achieved. I mentioned ethics, and I think it is worth pausing to explain what I mean here. Lime & Lilac, while not certified with any official bodies, has taken great efforts to ensure their ingredients are pure, high quality, and from trust and experienced suppliers. 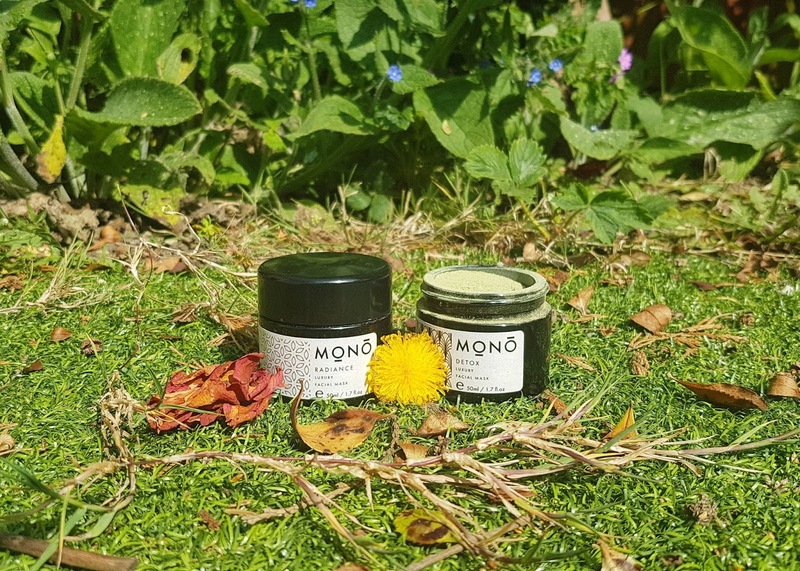 Nearly all of the oils used in their products are Soil Association certified organic, natural constituents of essential oils, or organic and wild harvested, meaning the formulas are free from nasty pesticides and herbicides, and are cruelty free as per the standards set by Soil Association. And on top of this, the materials used by Lime & Lilac for packaging and delivery have sustainability in mind -- Lisa writes, "as a tree lover it was inevitable that I’d opt for recycled packaging, I’m trying to live a more sustainable existence which means my oil will simply be mailed to you in a small cardboard box tightly packed with 100% biodegradable shredded paper. The oil itself is housed in a miron glass bottle; this unique glass works as a filter blocking visible light which in turn offers additional protection, lengthening the durability of the oil." This is exactly the ethos I want and what I look for when buying from a brand, so I was so happy to see the importance of packaging addressed. There is nothing worse than having a product arrive bubble wrapped and contained in a plastic jar instead of the metal, paper, or glass you expected. Kudos to Lime & Lilac for their transparency! The Products: I am so thankful, as I was sent both Lime & Lilac products to test out to review -- I was absolutely thrilled when the parcel arrived with a 15ml size bottle of the 100% Natural Light Face Oil and a mini "try me" bottle of the Capri 100% Natural Body Oil inside, and even more excited when I applied the very first drop of oil to my skin. Both are heavenly, each for very different reasons. The facial oil is the perfect fusion of ultra-light and super nourishing, and leaves your skin feeling cared for without being overwhelmed or at risk of clogged pores. My semi-sensitive skin is loving the blend of watermelon, hemp, passion flower, and other organic ingredients, and I can happily say I have had no unexpected reactions when introducing Lime & Lilac's oil into my routine. No redness, unexpected spots, or sensitivity of any kind, making me one happy user! "Each seed oil has been carefully selected, with each ingredient having a particular benefit for the skins function. This blend offers key essential fatty acids and vitamins which help support and enable your skin to increase cell renewal, support collagen production, fight against inflammation and treat scar/blemish tissue. Lime & Lilac face oil has a super light weight/non-occlusive texture but also deeply nourishes, making it favourable for all skin types." 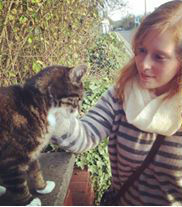 And as a person who suffers from regularly fussy skin (at least on my face! ), I can say that this claim isn't just a false promise. My face has looked and felt all the more radiant since beginning to use the 100% Natural Light Face Oil, and I have had fewer blemishes (though to be totally honest I tend to only get them around the same time as my period, and lets me real -- those hormonal spots probably will never totally go away!). I adore the smell of this oil as well, and find it so soothing, and not just for my skin. Frankincense is one essential oil that is meant to help de-stress the mind and reduce anxiety, and neroli also helps reduce stress while also uplifting mood and reducing blood pressure. After applying the two to three drops of the oil from my fingertips, I breathe in the excess product and just let the scent wash over me. Taking those few seconds to just -be- is so calming, and I think really helps reap the full benefits of this fab face oil. The spicy notes that come through in the Light Face Oil are not to be found in the Capri Body Oil formula -- instead, this blend is much more floral in nature and softer in scent. With lavender, rosemary, and rosehip, along with the signature notes of neroli and frankincense, the product brings to mind warm summer evenings, holiday sunsets, and fields of flowers. I find this Lime & Lilac product helps center my mind and brings a sense of peace and tranquility which is ideal at the end of a long day. The oil itself is just as gorgeous in texture, and feels smooth as silk and is incredibly light when applied. In fact, it absorbs so quickly that you don't have to worry at all about ruining your clothes or feeling 'greasy' under the material. Despite how fast it sinks into skin, this oil is still really nourishing. You can sort out rough elbows, dry patches on your knees, or even use it to soothe post-shave legs -- whatever your need, the Capri Body Oil can sort it! I especially love using this after a warm shower or a soak, as it is the perfect bit of TLC and the best way to end the day. I'm actually thinking that if I buy the full size Capri Body Oil in the future that I will have to test it out in the tub, as I think that using it as a bath oil would be totally dreamy -- I just imagine how lovely the aroma would be when picked up by the water's steam, and how soft my entire body would feel with such an immersive treatment. This sounds great for any time of year, but especially during the dark and frigid winter season! I have been so impressed by both products, and I am so grateful for the opportunity I was given to try them out. It is so brilliant that I get to share my thoughts on these gorgeous green goodies with all you beauties, and to share what Lisa has achieved with Lime & Lilac! If you would like to try her handmade skincare treats for yourself, you can find them over on her shop, or if you want to show your support in other ways be sure to give Lime & Lilac a follow on Instagram! Have you had a chance to try out either the Light Face Oil or the Capri Body Oil yet?? What did you think? I would love to hear your thoughts in the comments below! 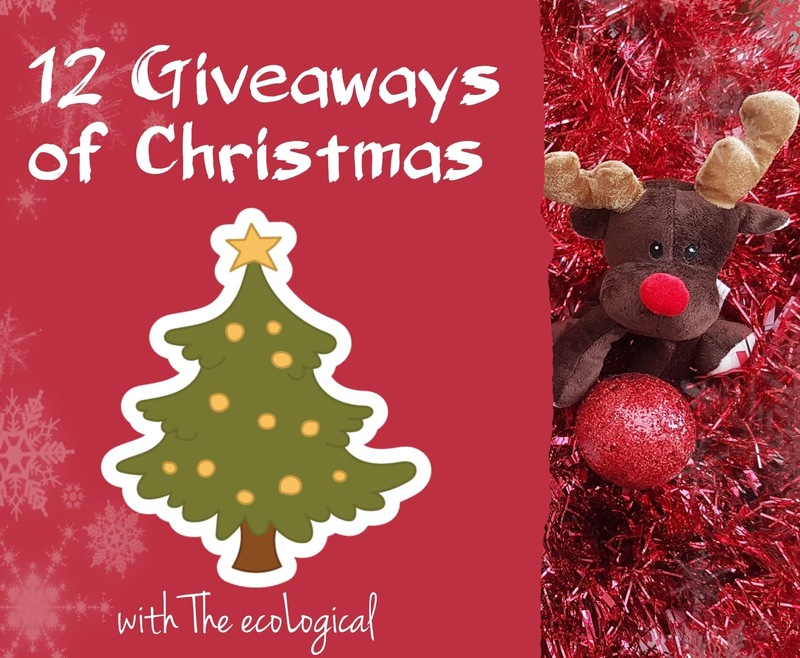 I also want to announce something excited that is heading your way soon -- The ecoLogical's 12 Giveaways of Christmas!! I want to give back to all you eco-lovelies this holiday season, so I have teamed up with some brilliant brands that have so kindly offered to help with my ambitious plan! What's the plan you ask? Well... I don't want to spill the full surprise quite yet, but just know there will be a MASSIVE prize up for grabs! More details to follow!! I've become a bit of a convert to face oil and they last so long. I love the sound of the combination of scents for this one. I love the fact that they're all natural and hand made. They sound really good! I love how much care and attention has been put into the products and delivery. Whenever I have tried face oil I love it, but get so confused as to which I should buy. This sounds great !